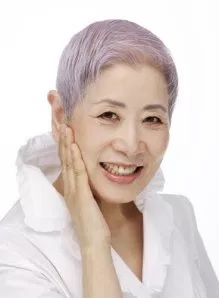 Phytoceramides: Why Japanese Women Don’t Need Facelifts - Anti-Age Naturally! So it was in the mid-90’s when my mom asked me if she should get a facelift. I remember telling her that I would support her but I was hoping that when my day came there would be a pill. Well that day is here. I am now exactly my mom’s age when she asked me that question. Of course we have lots more choices in how to achieve a more youthful appearance today. Everything from injections to lasers and some pretty high-tech products. But I would still like to take a pill. So the research began. In a four-week clinical study, 95% of participants suffering from dry, itchy, flaky skin saw completely restored hydration using a phytoceramides supplement. A 12-week study showed reversal of age-related skin wrinkling. A 90-day follow up to the four-week study showed thicker, more hydrated, less red and itchy skin. The phytoceramides supplement uses lipid technology that passes through the digestive enzymes and penetrates up through the skin matrix, mimicking your body’s own ceramides. Researchers discovered that this extract the phytoceramide extract is based on improves the skin’s water loss (which happens with aging). After a six-week Japanese study, skin was brighter and smoother. Wrinkles became shallow and significant improvement was observed in the neck. Takagi S., Et al. Alteration of the 4-sphingenine scaffolds of ceramides in keratinocyte-specific Arnt-deficient mice affects skin barrier function. J Clin Invest. 2003. Guillou S., Et. al. The moisturizing effect of a wheat extract food supplement on women’s skin: a randomized, double-blind placebo-controlled trial. Int J Cosmet Sci. 2011. Lintner K., Et. al. The effect of a synthetic ceramide-2 on transepidermal water loss after stripping or sodium lauryl sulfate treatment: An in vivo study. Int. J. Cosmet. Sci. 1997. Nilsson A., Et. al. Alkaline sphingomyelinases and ceramidases of the gastrointestinal tract. Chem. Phys. Lipids. 1999. Ueda O., Et. al. Distribution in skin of ceramide after oral administration to rats. Drug Metab. Pharmacokinet. 2009. Kajimoto, O. Clinical investigation of skin-beautifying effect of a beauty supplement containing rice-derived ceramide. J. New Rem. Clin. 2002.